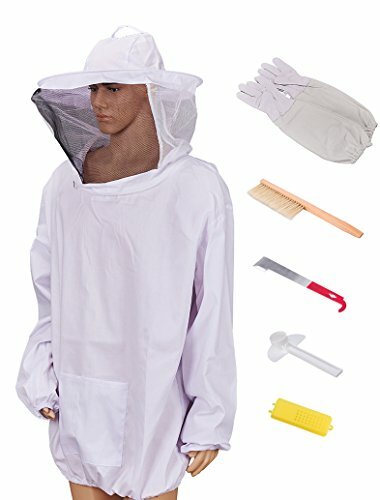 6 Necessary Bee Keeping tools Set, including Beekeeping Jacket with Gloves, Beehive Brush, J Hook, Queen Cage and Bee Feeder. Jacket size: 42'' from the brim of the hat to the elastic waistband,28'' from shoulder to elastic sleeve, 26'' from the hood zipper to the elastic waistband. If you have any questions about this product by Beecastle, contact us by completing and submitting the form below. If you are looking for a specif part number, please include it with your message.